Progress on our Acrylic and Glass Exhibits (AGE) trimless 90-gallon aquarium has been painfully slow. With work constantly getting in the way and having to focus on other projects, the build has been put on the back burners for the most part of nine months. Fortunately, the build is about to heat up. 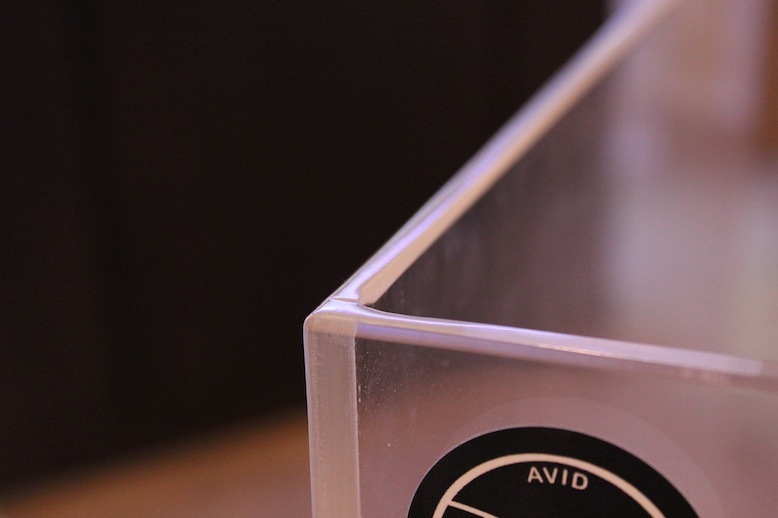 Our friend Jason from Avid Aquaculture just dropped off a key piece to the aquarium puzzle…the acrylic sump. This particular sump is very simple. 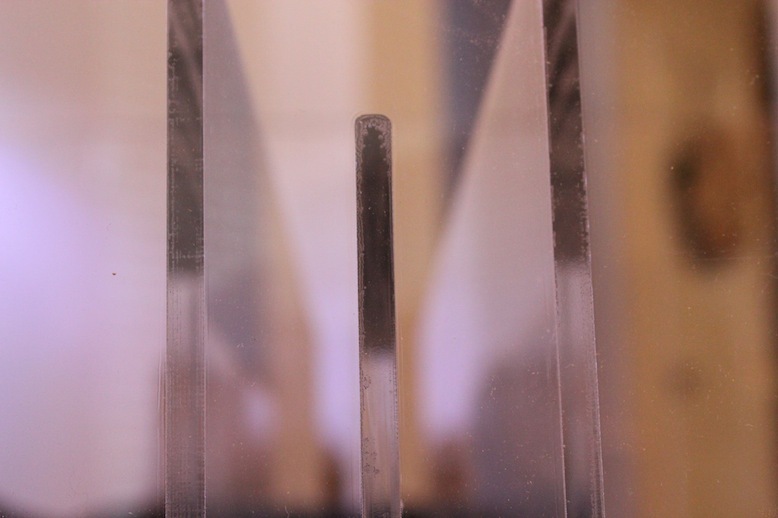 It’s merely two chambers separated by a trio of baffles that form the bubble trap. One section is designed to be a skimmer section only, with the other set to house the return pump. 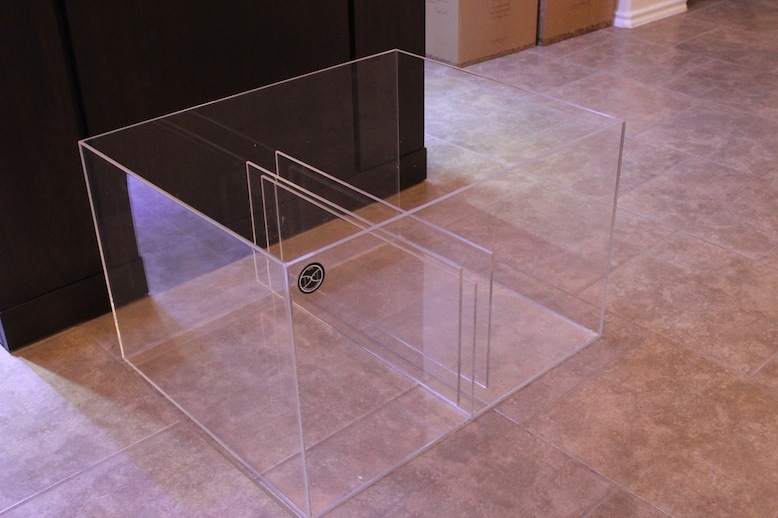 I would have loved to incorporate a refugium into this setup, but due to space restraints we figured an oversized skimmer and a biopellet reactor would be ideal. Going back to the aquarium build, the tank itself has been running for a while, if you could call it that, as saltwater and rocks have been sitting in the setup for a few months now. The sump will get plumbed up shortly after Christmas and we should have water circulating through the system in no time. All of the rocks are “cured” and after a couple of water changes I don’t see why some livestock couldn’t be introduced. Thanks again Jason for the awesome sump. Very nice! I want to do another build!